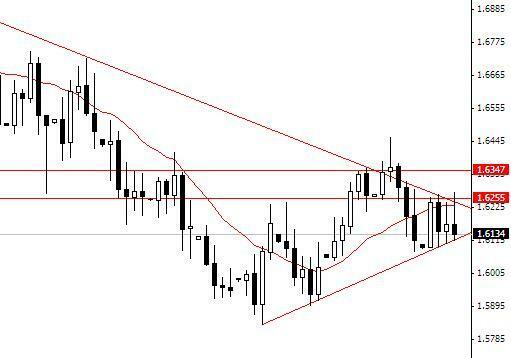 GBPUSD seems to be approaching the end of triangle it was trapped for some time now and we might see GBPUSD taking an extended move towards one direction. What intra-day trader would like to do is to sell GBPUSD with small stops and hope that it take a good dip this time. Judging by the overall market trend the possibilities of GBPUSD taking dip is more likely than its taking an extended upward move.